If you've not already purchased your ticket for FIGHTING FANTASY FEST 2014 - the world's first convention dedicated to Fighting Fantasy Gamebooks - here's why you should. 1) You will not only get to listen to the Steve Jackson and Ian Livingstone, the co-creators of Fighting Fantasy, give a talk about the history of their gaming and publishing phenomenon, you'll also be able to get your FF treasures signed by them, and even hang out in the Black Lobster Tavern with them! 2) The Adventurer's Backpack goodie bag that is included in the price of every ticket is chock full of awesome merchandise, with many of the items being exclusive to the event, such as the limited edition Zagor miniature and the collectible convention programme - not to mention the bag itself! 3) There are a host of special guests coming to FIGHTING FANTASY FEST, including legendary fantasy artists Chris Achilleos, Russ Nicholson, Malcolm Barter and Tony Hough. Tin Man Games and Inkle Studios will also be there to talk about their latest FF and Sorcery! app releases, and Tin Man are even generously giving away a download code to all attendees. 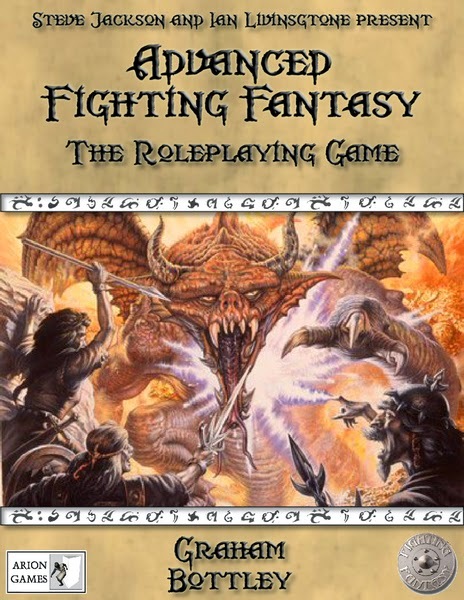 And on top of that Arion Games will be running demo games of Advanced Fighting Fantasy! 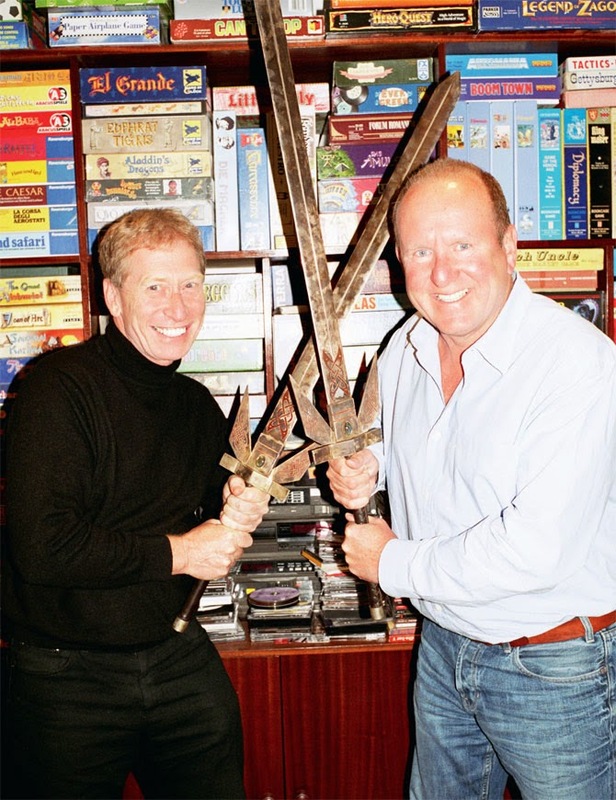 4) One of the highlights of the day will be an auction of rare - and highly collectible - items of FF memorabilia from the Warlocks' own hoard, including a pair of swords made to promote the Deathtrap Dungeon video game and now hard-to-find classic Fighting Fantasy computer games. 5) Quite simply, Fighting Fantasy Fest is going to be a unique experience. There has never been an FF event like it before, and YOU ARE THE HERO - A History of Fighting Fantasy Gamebooks is going to launch on the day. Just think, when FF is celebrating it's 50th anniversary in 2032, you'll be able to look back and say, "I was there!" So click this convenient link and buy your ticket today. And don't delay! The first 100 ticket buyers will receive a copy of the extremely hard to get hold of 25th hardback edition of The Warlock of Firetop Mountain. And if you have bought your ticket, tell all your friends about FFF 2014, via email, your blog, Twitter (#FFF2014), Facebook, Tumblr, YouTube, Instagram, or whatever your social media networking tool of choice is.